This 15-page packet contains 81 cell phones cards that prompt your student to respond to a comment or question! 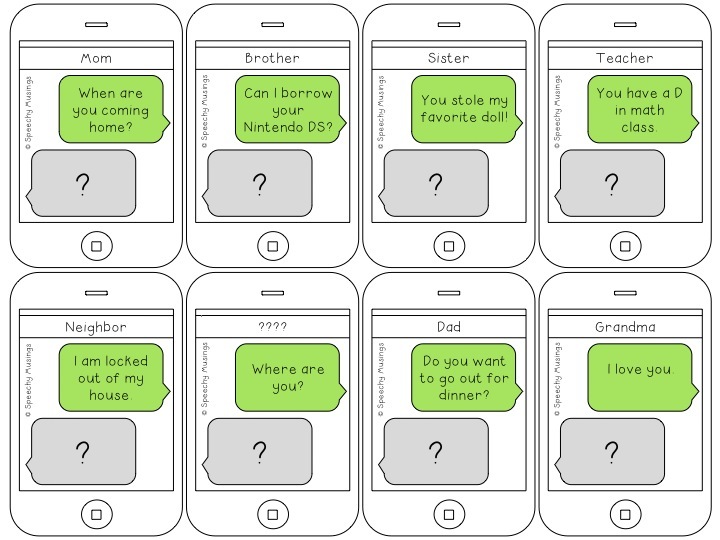 Each comment or question looks like it is a text message from a specific person (mom, dad, friend, classmate, etc..). 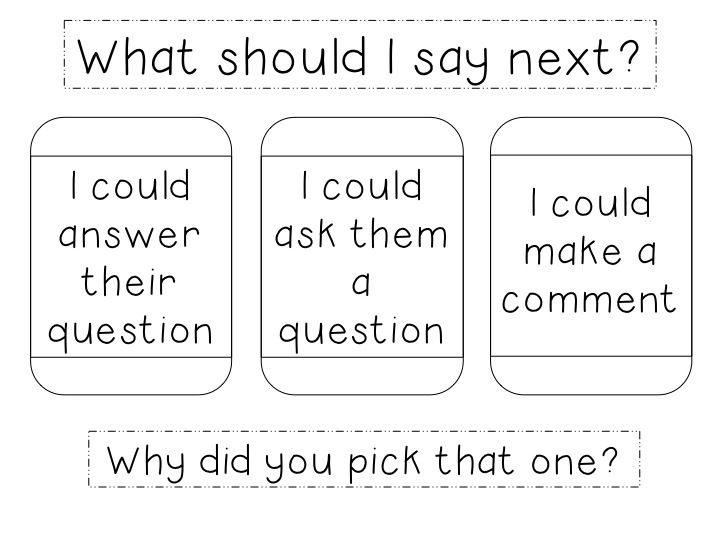 There is an included visual mat that may help some students decide how to respond (with a comment, question, or response). It could also help get your students to explain why they responded a certain way. Great for social skill or pragmatics goals! 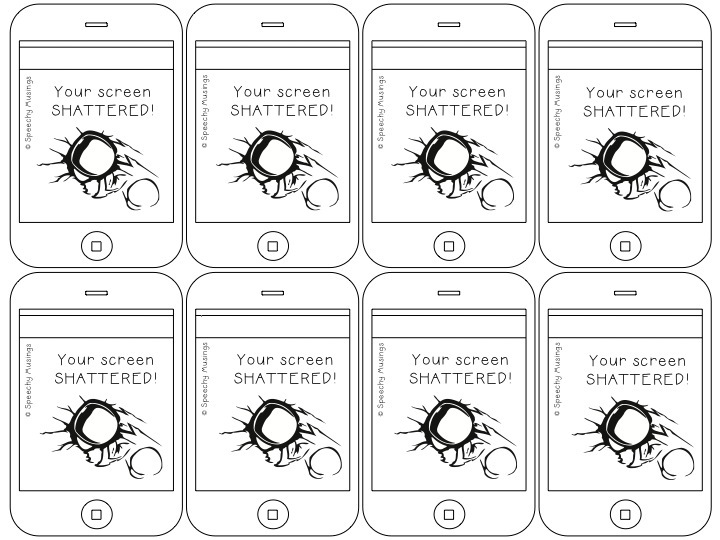 Watch out for shattered screen cards! If this looks like a product you could use in your speech room, check it out in my TpT Store here. This entry was posted in Materials and tagged expressive language, pragmatics, TPT store by Shannon. Bookmark the permalink.